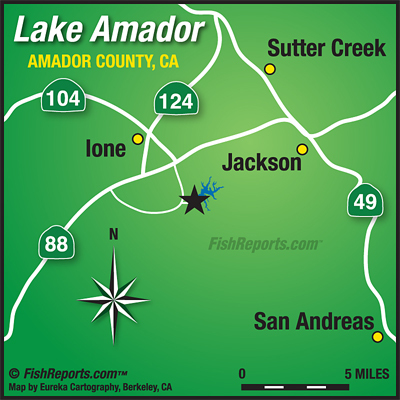 The trout fishing still remains good, especially for shoreline anglers near the launch ramp. Tossing Berkley Power Bait working best. Trollers dragging Rapalas are taking a few nice rainbows in the dam area. As an option you have some of the best largemouth bass and cat fishing taking place there as well. Lake Camanche: Trout Limits for Experienced Trollers! American River: Shad Making an Appearance! : Best Salmon Fishing in Half Moon Bay! Pardee Reservoir: Trout Plants Every Friday!